This quarter’s iteration is in partnership with Wentworth Institute of Technology College of Architecture, Design, and Construction’s graduate elective course “More Than Buildings: Multi-scalar Systems/Targeted Interventions”, which has been running since the beginning of the year. 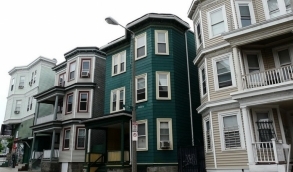 Our design challenge is to imagine, design, and test interventions in Massachusetts Housing Court. Our work in the law school course will proceed in three phases. 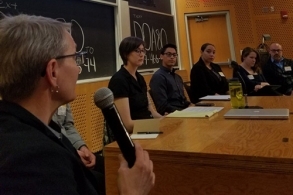 The first two weeks will focus on getting law students up to speed on the insights developed by the architecture students as they’ve examined urban housing policy and the Massachusetts Housing Court experience. 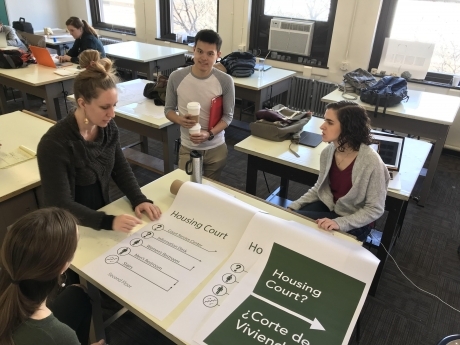 From March 14th to April 4th architecture/law student teams will work collaboratively to prototype, test, and document design interventions that are intended to improve the Housing Court experience for its users. After the Wentworth course concludes, law students will spend three weeks developing two documents: (1) a comprehensive implementation proposal for Massachusetts Housing Court based on one or more of the Wentworth course’s final interventions; and (2) a paper of 5 – 10 pages that reflects on the experience of working closely with architects in pursuit of improving our justice system. 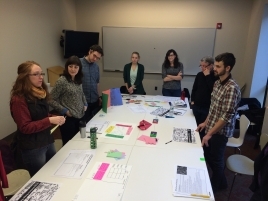 On March 29th, 2018 The Graduate Architecture students from Wentworth Institute of Technology and Law Students from Northeastern University School of Law collaborated to developing and install several design intervention ideas focused on the Housing Court experience at the Brooke Courthouse. Our work together is being chronicled on a blog - https://morethanbuildings.blogspot.com/ - to which law students will contribute as assigned during the course. We will have documentation posted shortly.